Stolen Kisses Under the Mistletoe by PMKS is the most refreshingly incredible Christmas album to drop in at least the last decade. During a Christmas season fraught with the same five renditions of classics and a billion of Mariah Carey’s All I Want For Christmas’ playing on every shopping mall PA system, it’s nice to see such a technically well performed – yet often still irreverent – Punk take on a Christmas album. Clocking in at just under 35 minutes for a solid ten-track album, Stolen Kisses Under the Mistletoe has covers that will put a smile on your face, and original gems that redefine what Christmas music is, can be, and should be. The unmistakable and previously reviewed Holly Lane kicks the album off, followed by the equally familiar yet mellow tones of Everyday Is Christmas – the official single release from the collection. And things continue to gather momentum from here on in. 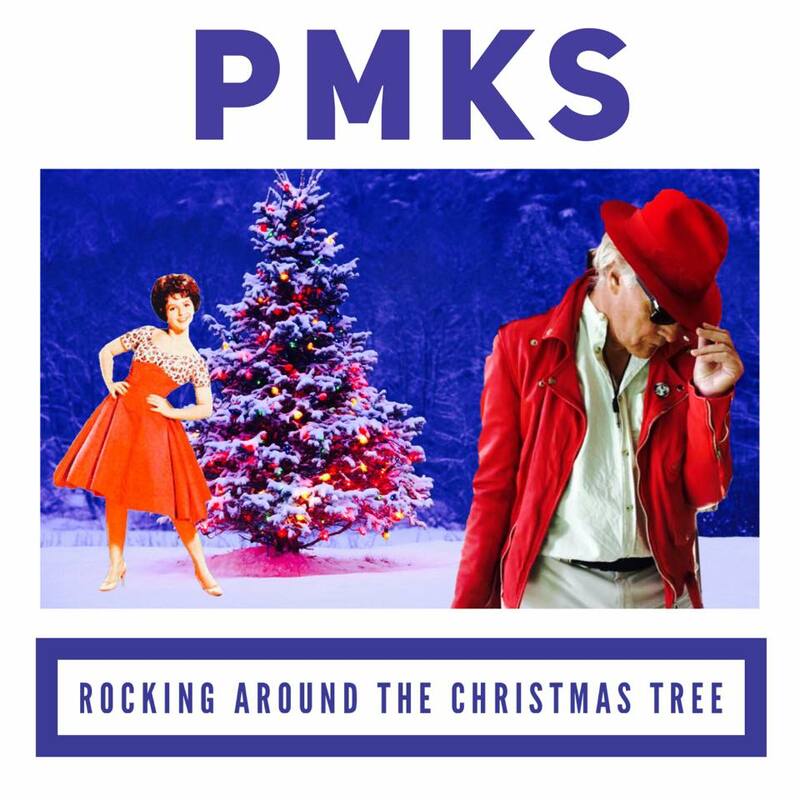 From a pulsing, electric take on White Christmas to a grooving rendition of Rocking Around the Christmas Tree, PMKS puts their signature sound into the classic radio hits that actually makes them worth hearing again despite their incessantly heavy holiday rotation. The standout gem is the full version of Christmas is All Around, a beautiful and funny nod to another Christmas classic in the cinema world: Love, Actually. PMKS has taken the song that Bill Nighy rides to the top of the charts in the film and gives it the full treatment. 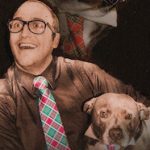 Christmas is All Around is produced with all the tongue-in-cheek wit and charm that the movie itself inferred but never gave the audience a true taste of. Not your grandmother’s Christmas album, 3 tracks are specially annotated as containing explicit lyrics, a bold move that keeps PMKS solidly where they belong in our hearts: As Rockstars first. An original, and my personal favorite on the album, 2020 Christmas #2018 is a scathing and sardonic piece of satire that’s as politically charged as it is entirely enjoyable. Unlike the other covers and songs on the album, 2020 Christmas #2018 is not aimed at being a timeless classic, and its message, if effective, will not need to be repeated in the year of its namesake. It is, however, a perfect song for its time, a brilliant and poignant piece for the year, and one of the best reasons to download Stolen Kisses Under the Mistletoe as soon as possible. Merry Xmas Everybody, an explicit offering – and another breakout hit – is a true rock Christmas experience. With explosive, soulful guitar solos, and that punk-signature humor laced in the lyrics it’s bound to be your new noel jam. It becomes evident in every corner of this offering that PMKS is not some new in the moment flavor of the week, but seasoned and battle-hardened band offering licks and lyrics alike that contend with the rock gods of generations past. Slowing down and diversifying their ever-increasingly profound portfolio, Lonely this Christmas is a slower, bluesy single that captures the cold and melancholy of the season in an endearing way. I Believe in Father Christmas expands on this diversification, offering a groovy and dance-worthy back-beat to a thoroughly fun and enjoyable piece of art. Everything available within Stolen Kisses Under the Mistletoe points to the skill and expertise of PMKS; but more than that, there’s an undeniable charisma to the music. There’s an undeniable confidence in the album bestowed upon it by its creators that lends itself to anyone who has a chance to hear it. Stolen Kisses Under the Mistletoe is the heart of your next Christmas party, the best album for the trip home to see family, and the thirty minutes of pure Christmas rock you’ll continue to hit repeat on until well after it’s time to have taken down your Christmas lights and begin decorating for Valentine’s Day. PMKS are donating 100% of the proceeds from this record to Great Ormond Street Children’s Hospital in Camden Town. Download the album via Bandcamp or iTunes. Find & follow PMKS on Facebook, Twitter & Instagram. Hear the full playlist on YouTube.